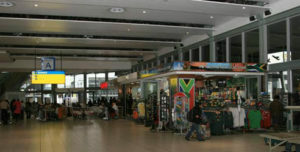 There are 90 Airports in South Africa which includes both the domestic and international airports and this post covers all the available 90 South African Airports. This includes every single South Africa Airports – International Airports, Domestic Airports, Military and Private Airports etc… If you are planning on visiting South Africa then this info is gonna be very useful for you. Also included are the cities they serve and their coordinates.